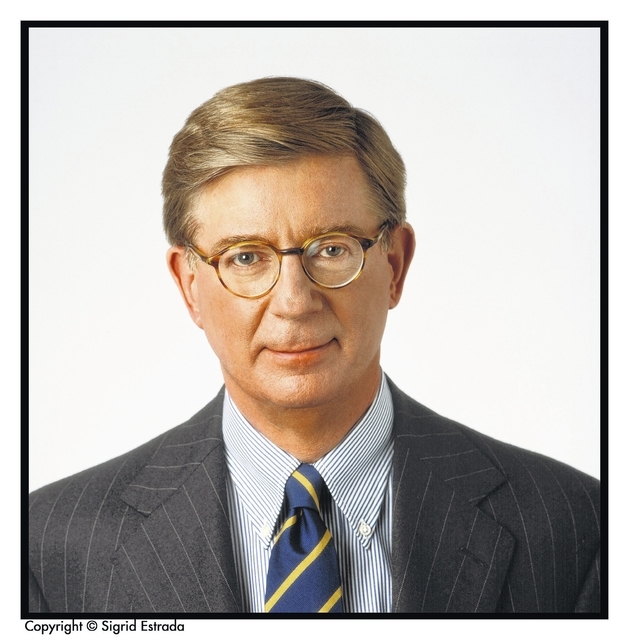 George Will: Who will pay for paid family leave? The phrase “due to economic insecurity” is a way to avoid saying “until they can afford them.” Evidently it is now retrograde to expect family planning to involve families making plans that fit their resources. Which brings us to the approaching birth of a new entitlement: paid family leave after the birth or adoption of a child. This arrival will coincide with gargantuan deficits produced primarily by existing entitlements. Still, the president has promised to oppose House Speaker Paul Ryan’s and his party’s proclaimed determination to address the entitlement crisis. And the president has endorsed paid family leave. Five states and the District of Columbia (and many other cities) have paid-leave laws, and at least 23 states are considering them. Naturally, given the nature of democratic politics, the national government’s portion of the political class is eager to truncate states’ experiments by making paid leave either an explicit national entitlement or an implicit one, by making states toe lines drawn in Washington. Although this will advance the left’s agenda of broadening and destigmatizing dependence on government, many conservatives support it in the name of “family values,” and because free stuff polls well. But it will not be free for someone, so the argument is about who should pay. So, the debate will concern ways to disguise the benefit’s costs while requiring others to pay for it. Congress is understandably fond of unfunded mandates that require others (state and local governments, businesses) to pay for its preferences, for which it nevertheless reaps political credit. But further burdening small (meaning the vast majority of) businesses is economically and politically imprudent. Besides, businesses would pay for this somehow, and most would pay for it, at least partly, by reducing employees’ pay. So, one of the deficit-enlarging provisions of the recent tax cut is a two-year experiment with tax credits for businesses that offer paid leave. Another idea is to pay for family leave through unemployment insurance, which would require a new tax, or a new level of a payroll tax. Another proposal, which can be presented as revenue neutral, is to allow new parents to collect, say, 12 weeks of Social Security payments by committing them to forgo collecting, when eligible, an appropriate sum from Social Security. Neutrality regarding gender roles is mandatory, so this choice would have to be available to fathers, too, other than for the 40 percent of births that are to unmarried mothers. Social Security, as currently funded and dispensed, is, according to the system’s actuaries, unsustainable beyond about 2034. So, this form of paid family leave would be appended to, and funded by, a rickety system that by then will require either sharp reductions of benefits (a political impossibility), or increases in the payroll tax rate, or expanding the amount of income subject to that tax, or an infusion of general revenues, or all four. Because Social Security benefits are insufficient to fund retirements, and because most Americans’ retirement savings, if any, are meager, it might not be wise to encourage people to mistakenly regard the system as a source of disposable wealth that is their property. Paid family leave is another predictable click of government’s leftward-moving ratchet. Twenty-five years ago, Washington made many workers eligible for 12 weeks of unpaid leave, all but guaranteeing that merely “many,” and the absence of pay, would come to seem retrograde. The current administration speaks of six weeks of paid leave. Democrats fancy 12. A likely compromise? Eighteen. But whatever the length of, and whatever the financial support for, the paid family leave that Washington will provide or mandate, later iterations will expand both, as well as the percentage of workers’ current wages that must be provided. So, paid family leave, which will arrive in an era of trillion-dollar deficits, will demonstrate that limited-government conservatism has become a persuasion without a party.